Good thing I take photos of my work (most of the time) and good thing the photos are dated in the program. 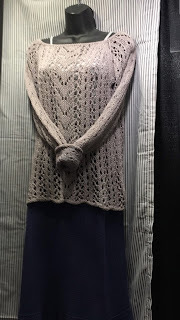 Some of these patterns are on Ravelry, some from purchases at markets or shops and some from my collection. 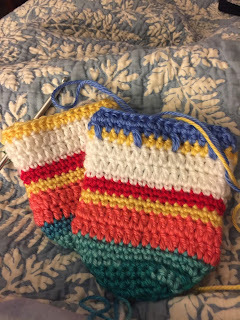 One of my goals for 2018 was to get comfortable with Brioche Knitting. 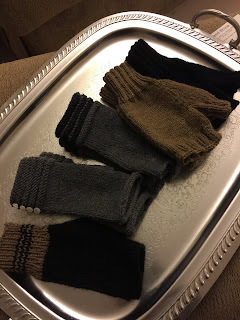 I have taken quite a few brioche classes in the past 9 years, with a variety of different instructors: Nancy Marchant, Antie Gillingham (my favorite sock author and teacher), Lavanya Patricella, J.C. Briar ( great take on the process), Faina Goberstein and probably a few others that I can't remember. 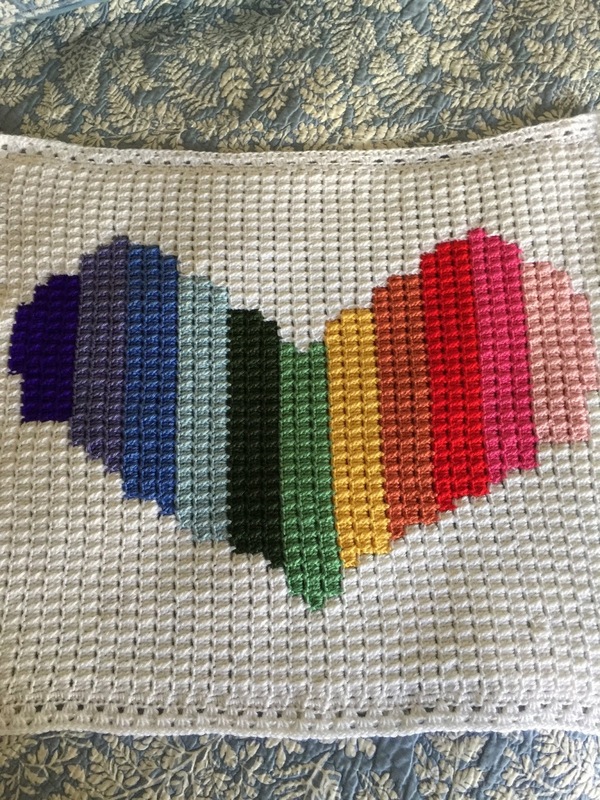 I spent countless hours on Nancy's Craftsy classes on Brioche, rewinding again and again, til it was beginning to make sense. Love the fact that you can rewind, pause and take notes in class on the site. This year at Vogue, I took a class with Nancy Marchant again. 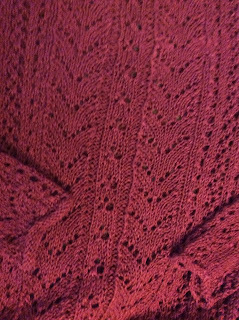 This was about brioche lace and at this point I had knit two brioche scarves. Now mind you I'm a combination continental knitter. 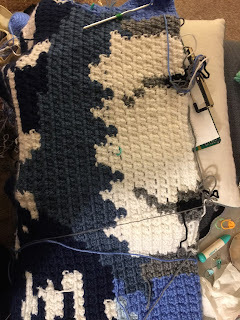 That means my stitches are loaded onto the needles so that when I knit a stitch I place the needle into the back of the stitch. 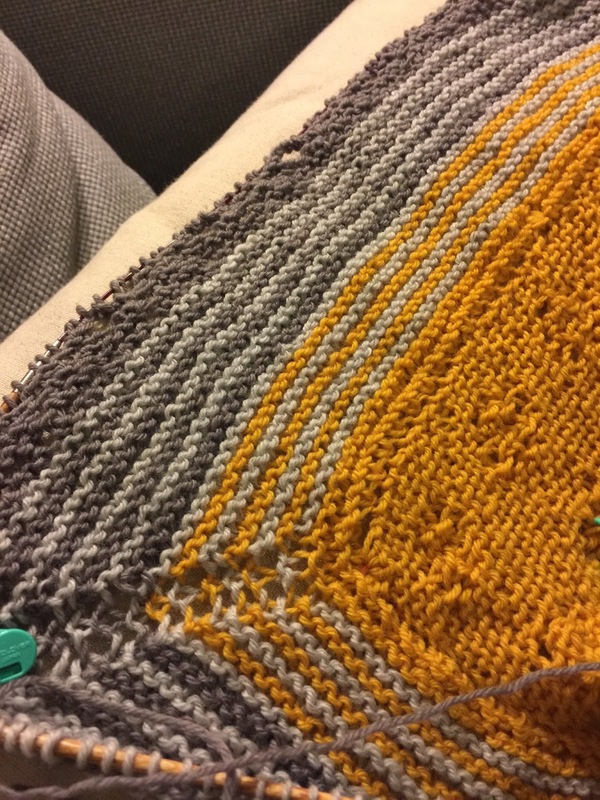 (it isn't twisted and I get great fabric when I knit, it's also a faster knit.) It's sometimes referred to as Russian style. 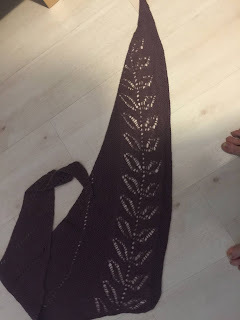 So anyway, as I'm taking the class and knitting this way I was able to figure out that in order to make holes (lace) properly for brioche, I needed to twist the stitch and Nancy gave me the OK!!! Great feeling. Here's what I'm working on now. This is definitely a focused knitting project - no music, no TV no distractions. 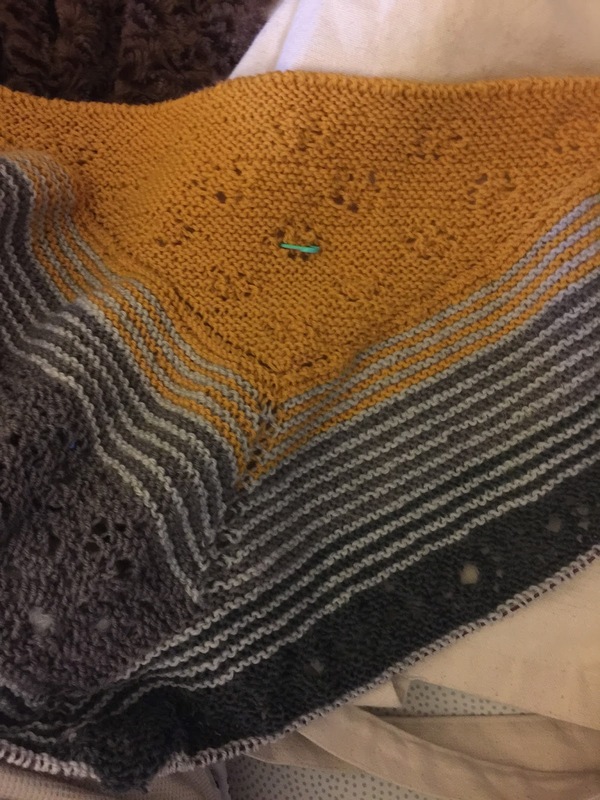 It been a few weeks since I picked it up and knitting a few rows each day has been my practice. 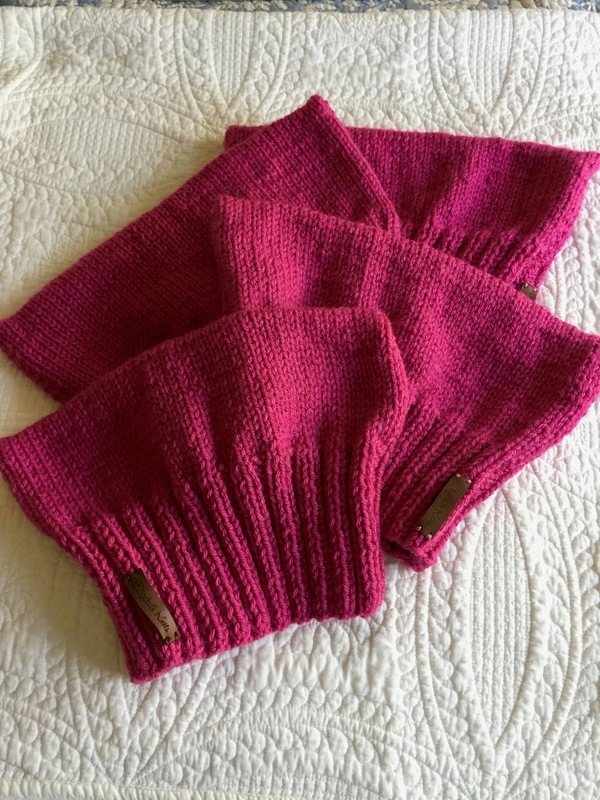 The Pattern: Ms. B from Knitting Fresh Brioche by Nancy Marchant. In Sept 2018, Vogue Knitting Live was in San Francisco for the first time. I knew I had to be there. I live only 55 minutes away and there is no way I'd pass this up. A few of the local knitting girls were going to be there, either spending the weekend or coming down for the day...so much fun. We met for lunch or dinner, went to a few mini presentations and roamed the market place. The Last Class-Double Knitting- creating a fabric that is double sided with the knit stitch on the outside and any image, pattern design fair isle, is reversible. 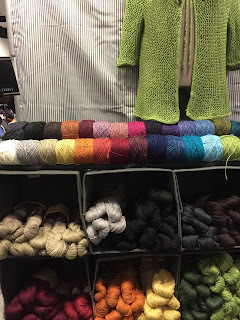 It's always so hard to choose a class out all the wonderful offering at Vogue Knitting Live. Although this was the last class I took, this is the class I want to share first. 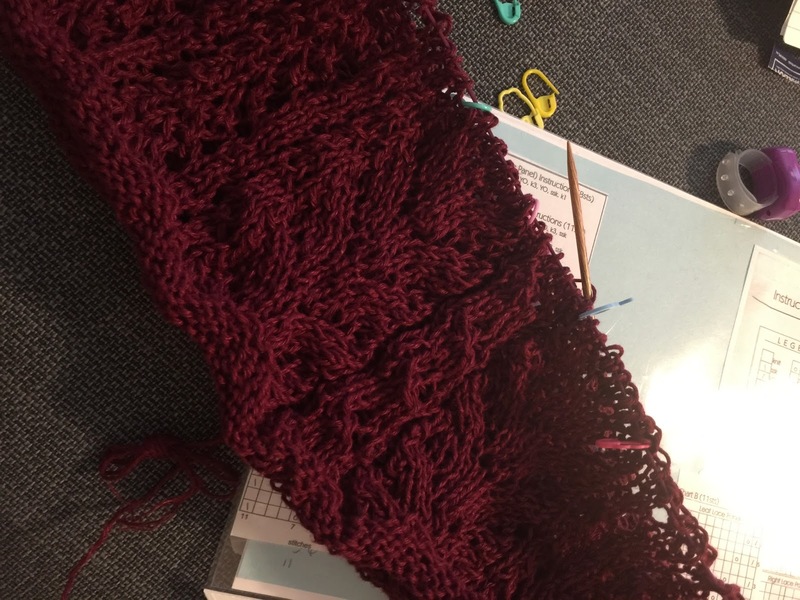 Usually after a full weekend of classes, shopping and knitting, that last class can be a blur. 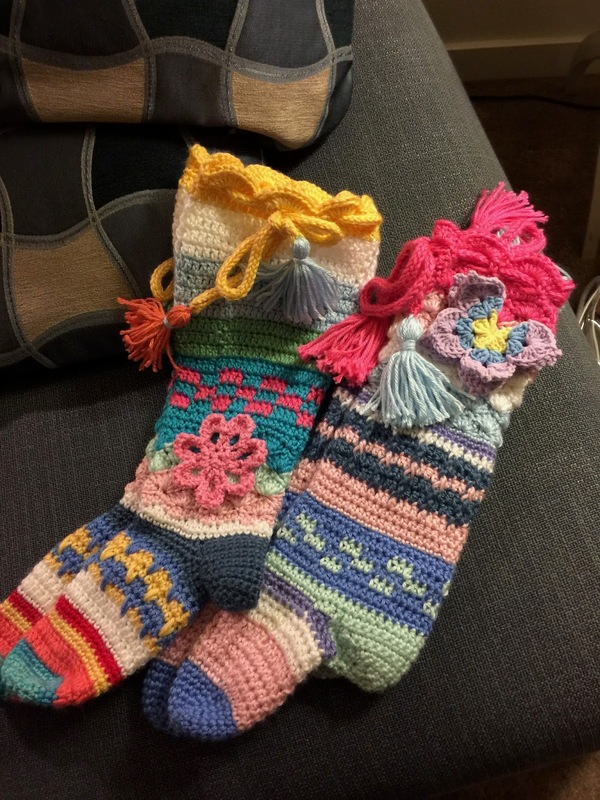 Well not so with this class, Double knitting with Nathan Taylor or better known as the Sockamatician. Outstanding class, a truly enlightening and entertaining class. An entertainer, no really he's a British Actor, in the theater. Lively, eloquent and great attention to deal in his instructions both written and spoken. 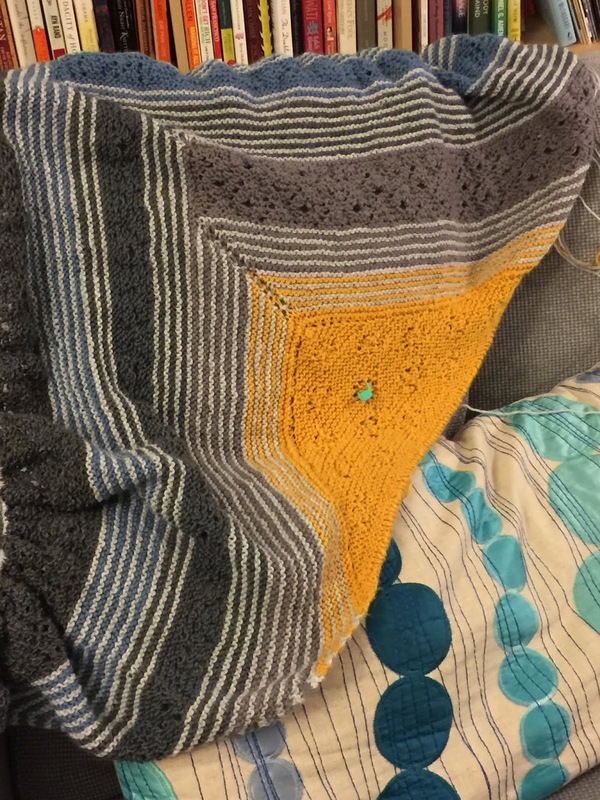 This was a great class and I can't wait to begin some of his original double-knit designs. His first book (my hope is that there are more to come) Guy's Knit was released at the end of 2018. I knit a hat and my son -in-law, is currently knitting a cap. Nathan is on Youtube also. Somehow the year goes by and all the things I wanted to post get lost in the days....so here is one of the things I wanted to share. but I thought I share a bit about the marketplace. The Market Place at Vogue Knitting has everything...baskets, books, bag, needles, Fashion shows, a Rowan exhibit of the last 40 years, Art work, sit and knit space, and prizes. A look at the Market place. Student Art Occupational Therapy Prog. Now I have done a knitting cruise before, (with Cat Borhdi) to Alaska and it was fantastic. It was 3 years ago and I swore that I'd save up and make a trip every year. But you know how it is, life gets in the way. I'm sure that I'm on that ship right now..looking into which knitting cruise to take next..
South America? Australia and New Zealand?? I guess I should enjoy this trip now...photos and details to follow. Finally can share with you.. a gift for my nieces and nephew. 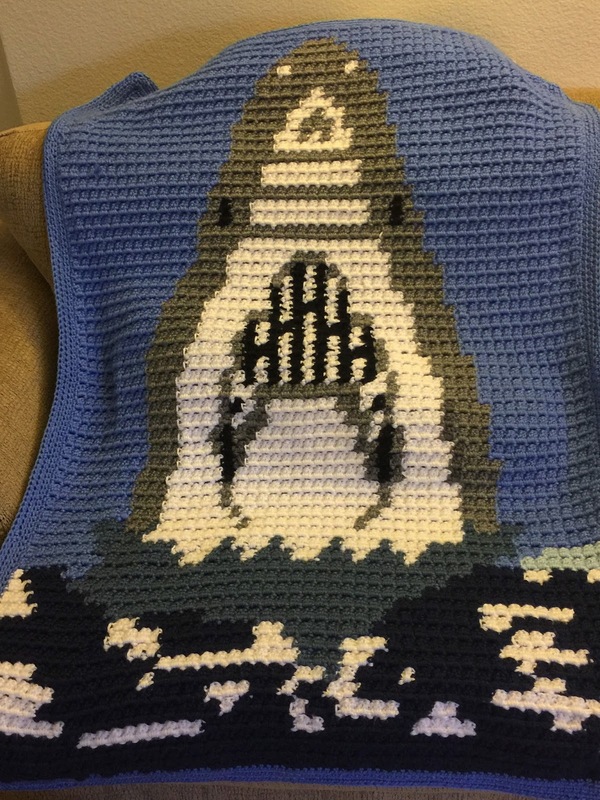 I used "stitch fiddle" a charting program to make the design for the Shark. Again an adaption from something on online. The stitch- Block Stitch. 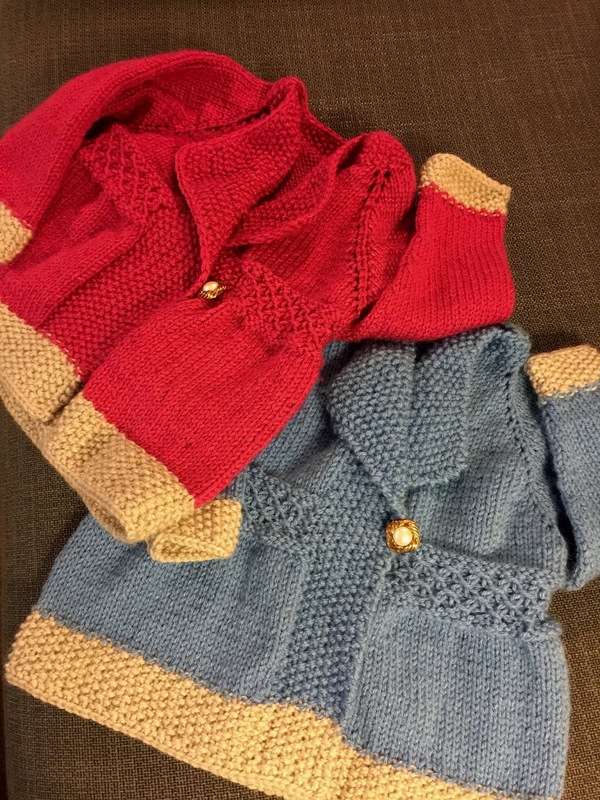 The Yarn - Simply Soft. 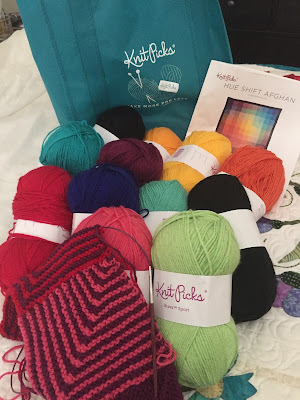 Even though I certainly do not need yarn, there is no way to go to a knitting convention with a huge marketplace, and not buy something... I used my lovely daughter as an excuse to shop. She has taken up crochet and within a year she's gone from washcloths to garments and with her sister in law, has started a on line crochet shop "Cali and Cleveland" https://www.etsy.com/shop/caliandcleveland and even designed a basket pattern . So of course she needs some things. and a beautiful top to knit for her. 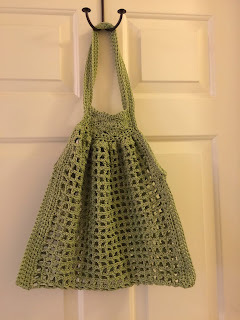 Made from Hemp yarn, from Lanaknits.com. 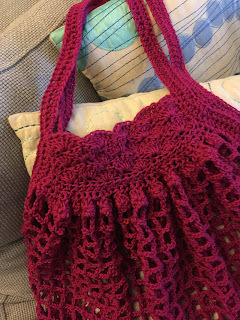 She chose a lovely burgundy color and I'm working on the project now...I actually have knit and reknit it twice..but the yarn has become softer to work with and will wash out softer still. Lots of markers, lots of counting, definitely not a chat and knit project. I did find two items. Things I've been looking at for a bit. Knit Picks had a booth this year and I've been eyeing this afghan for a long while. If you get their catalog, you have probably seen it. 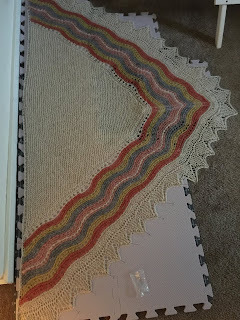 Well the yarn is lovely to the touch and although I hardly ever knit an afghan (prefer Crochet) this is done in a Mitered pattern, which is fun for me. The other booth that interested me was Craftsy.. 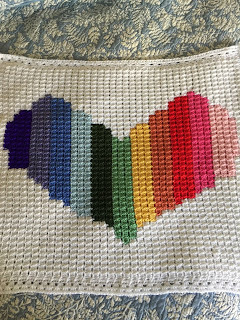 I have been a fan for a long time and just recently signed up for Craftsy Unlimited. (but it just seems that there is not enough time in the day to watch all the videos). There was a Ravelry Knit-along with Romi Hill and I could not pass this up..never did a knit-along before..so this was new to me and actually got me going on the project right away. The biggest challenge was choosing the colors. 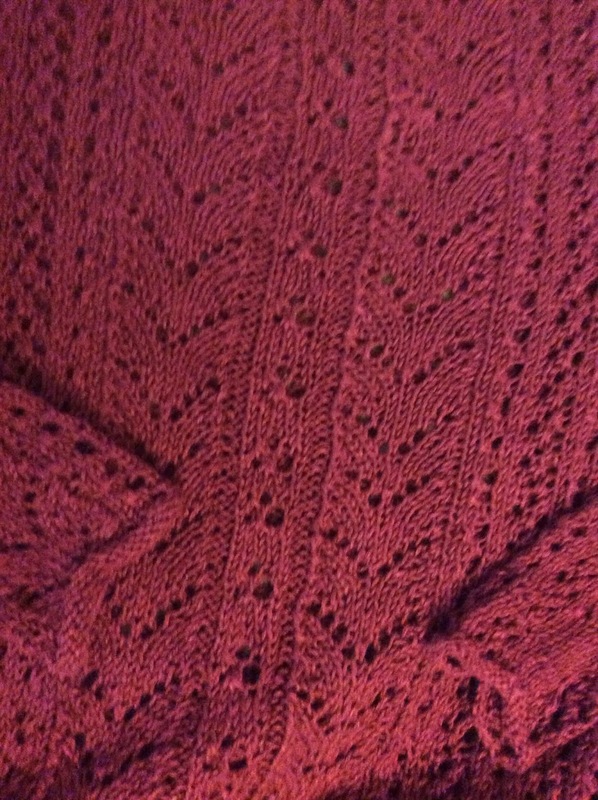 i-cord bind off to add something extra to the edge. So that's my story and I'm sticking to it. 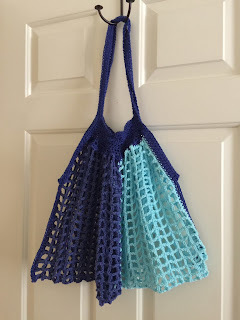 Great Books Not Just Knitting!